Rainy River Elk Company provides only the highest quality, 100% Canadian Elk. Our elk are fed natural feeds with no added antibiotics and no hormonal implants are used. Elk is a delicious, full-flavoured red meat with a hint of sweetness; it is not gamey in flavour. Elk is low in fat and cholesterol - a heart healthy choice. 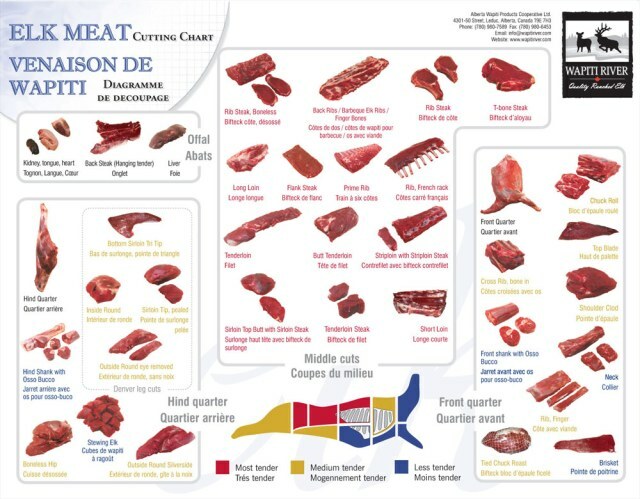 In accordance with regulations, our elk are processed at Ontario licenced meat processing facilities. 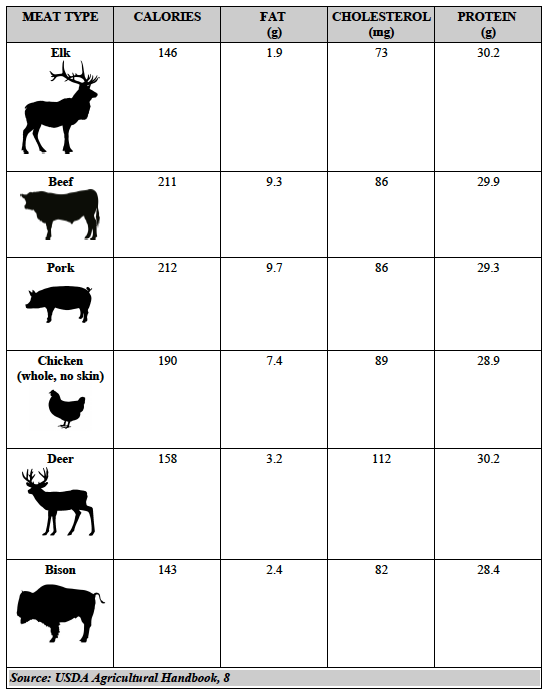 FUN FACT: Elk loin is lower in fat than skinless chicken breast! 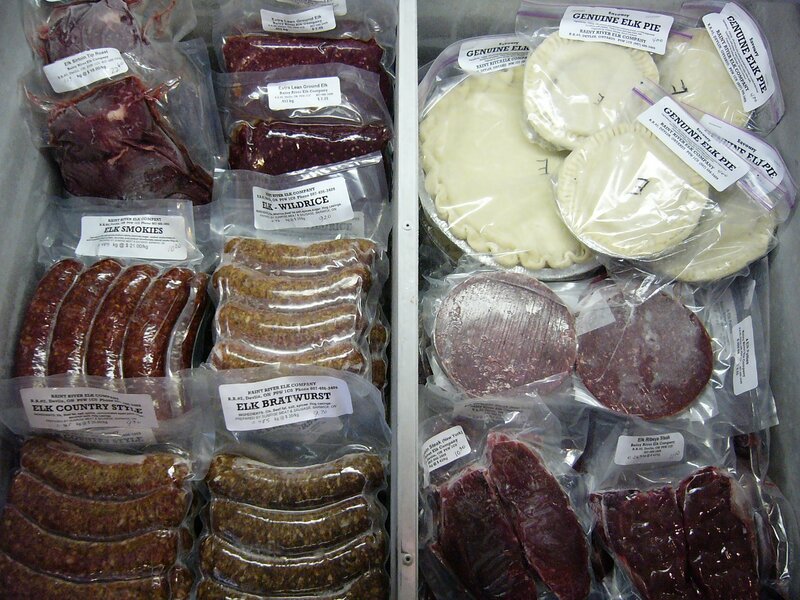 Our elk products are available at our home/farm, but please call ahead to make sure someone is available to serve you. Our elk products are also available at the Farmers’ markets we participate in: Kenora Matiowski Farmers’ Market, Thunder Bay Country Market, and Northwest Market (Sioux Lookout). And look for information about a location in Fort Frances in the future! We also have a few products via the Cloverbelt Local Food Co-op.